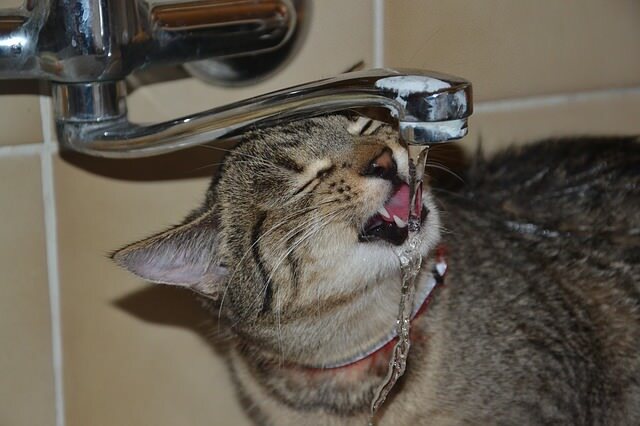 Cats sure can be finicky when it comes to their water! 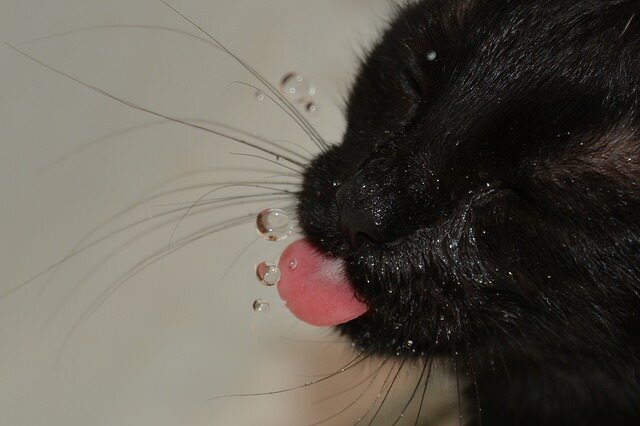 We’ve all seen kitties come running to sip from the kitchen tap or wait patiently outside the shower to lap the fresh droplets from the tub. It turns out there’s some very good evolutionary reasons that cats prefer running water over the supply in their bowl. Plus there is a simple, healthy solution that kitties love! 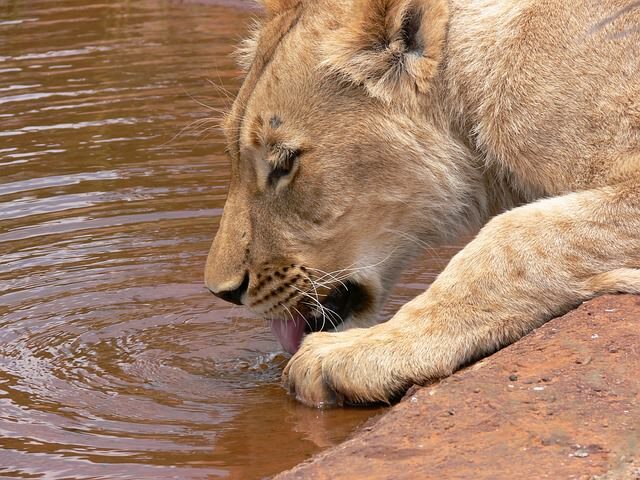 Our domestic felines’ oldest ancestors hailed from desert climates and were able to subsist on little water. To this day, our cats’ bodies conserve water by producing relatively dry stools and highly concentrated urine. When cats are in need of a good, cool drink there are several reasons they may choose to skip the water bowl and head for the tap. 1. It’s instinctive for them to avoid standing water, which in the wild is a much higher risk for harmful contaminants than a flowing stream. 2. Felines have great night vision, but their ability to see the standing water in their bowl is poor. 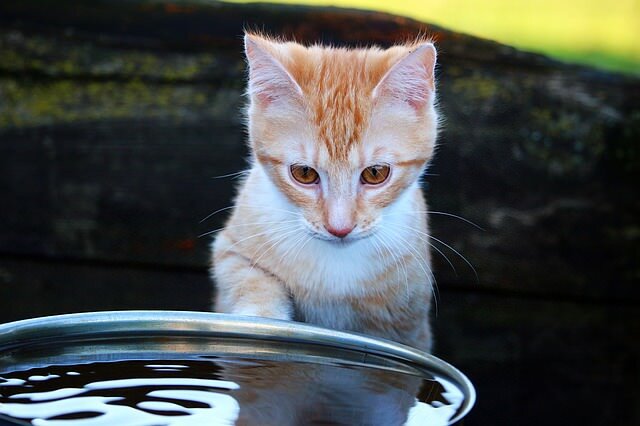 Rather than relying on sight to locate a still pool, cats prefer to use their excellent hearing to sense the familiar sound of running water. 3. 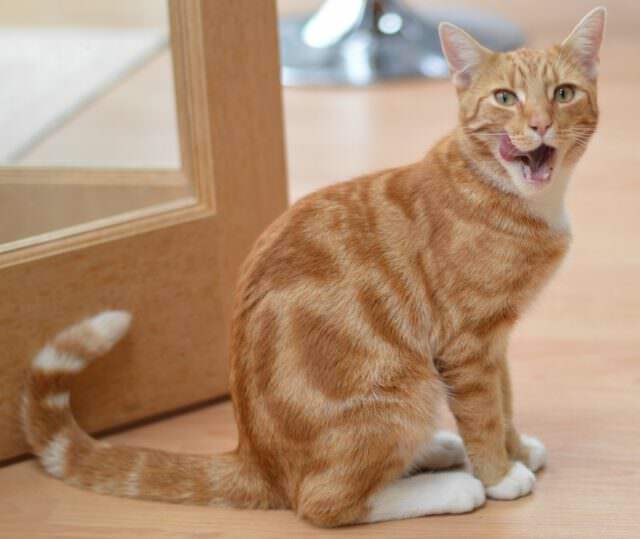 Most owners tend to place food and water bowls against a wall, making cats feel vulnerable to a rear attack. Although there probably aren’t too many predators waiting to ambush your kitty in the kitchen, it’s a natural tendency for them to avoid being cornered.